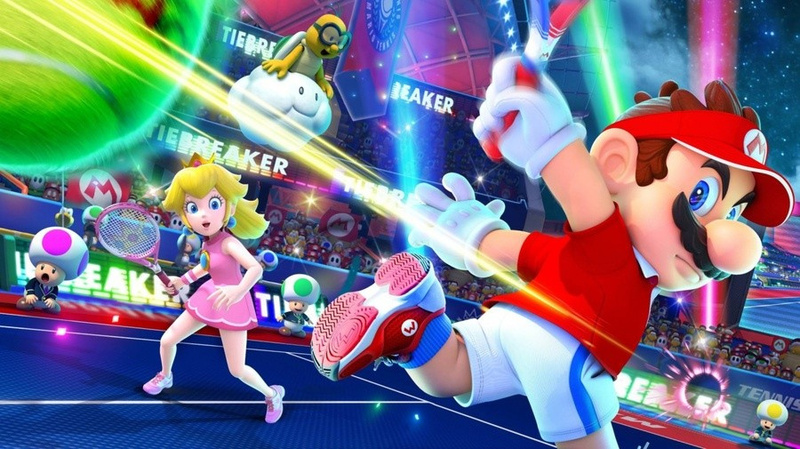 Mario Tennis Aces might have been slightly underdone when it arrived in June last year, but since then, Nintendo has bolstered the experience with a number of content updates. Version 2.2.0 for the game is due out tomorrow in North America, according to the Nintendo support website. This update will also be made available in Europe. 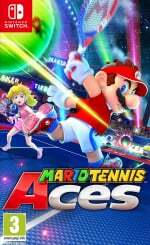 Have you been playing Mario Tennis Aces on Switch? Will you be checking out this update when it arrives? Tell us below. Let me hear you say way-oh. I need to get back to this game, haven't played it in months and it seems they've added a lot of cool stuff. I was sorely disappointed in this game at launch, but they've turned a half-baked game into something fantastic that continues to get better and better! They've added most of the features this game desperately needed, and I hope they continue to improve it in the coming months. It's a shame they couldn't turn around Kirby Star Allies in the same way for me; I still feel burned, having payed $60 for that one. It's my only regrettable first-party Switch purchase. Nice, more features added to the game. Color me surprised by the additions. Curious how this Host match thing will work. @Shade_Koopa I think hosting matches will be the same as hosting tournaments in Mario Kart. No need to worry. @TheAwesomeBowser oh really? Didn't know Mario Kart had a host matching feature like that as well. @Shade_Koopa I'm not sure if it does TBH, that's just from memory. I wish they'd give Super Mario Party this treatment. My friends and I love it but have gotten tired of the same few boards. I bought this at launch but stopped playing after a few days due to the lack of content. Just started playing again a few days ago coincidentally to find a much improved game and one that I'm delighted to own and the last piece of the puzzle is being able to select what court to play on. Its a bit silly that its taken half a year to get basic features such as being able to play a full set of tennis and choose which court you'd like to play on but it's there now and it's a great game. I'll just wait until Mario Party gets the same treatment, as 4 boards is really bad and the look pretty bland too. The half-baked release meant I lost interest in getting this. And even now that the game sounds more like what got me initially excited, it’s just too late in the piece. Shame. ‘Great game but the problem is time, how do I play splatoon 2, mario aces, smash and rocket league with all these great updates. @carlos82 I'm with you man.. i simply don't get... Mario Party solds were insane... the game is good, but only 4 boards??? I mean i would love more mini games, but initially, more boards would be awesome..
Come on man, they did it with Splatoon 1 (the second was much more complete at the beginning) and Mario Tennis, but that's about it. The rest of them are pretty much complete when they are released; if so, they get some improvements that are very appreciated, like Piranha Plant, but not because they needed to add it. I was looking forward to playing as the 1-up girl, Pauline. I swear she was meant to be available in February. We just need more people to play Mario Teniis Aces online! Also, let the Boom Boom jokes begin! Could there be another review of the game after all these changes? I have no idea how good or bad this game is if I buy this now, and all I have to go on are old reviews, but they patched things up so much that I think the game (and hence the review) has changed completely! This is Nintendo’s best supported online game alongside Splatoon. If only Smash and Party managed it as well. I'm so pleased this game is still getting not only updates but valuable updates. I actually enjoyed the game at launch, even if it was somewhat a thin experience, and all this new content has really fleshed it out. I still feel that a court select screen should be more automatic and not dependant upon changing an option first. But! It's wonderful to have in those modes regardless! I’m loving the continued attention this game is getting. It’s coming together as a much more complete experience with each update. But I wish they’d add new challenges instead of recycling the Boo one. If they’re ending support in June, there’s very little time left to run challenges to unlock skins for different characters. I was hoping to get them for more than just Boo and Yoshi. Didn’t they show off different visors for Chain Chomp in a past Direct? @thesilverbrick The Chain Chomp visors may be tournament rewards rather than co-op challenge rewards. See how the January tournament had classic Mario and Luigi outfits for earning a certain amount of participation points. No amount of updates will make this game good. Just scrap it and put out the N64 version. @Not_Soos I’ve got Kirby, but still haven’t played it— do you think the additional dlc they’ve added still isn’t enough to make it a complete game? In my opinion, no, no it isn't. I don't really like the Guest Star mode, so I haven't bothered to play through it with all the new characters. While the Journey to Another Dimension mode (or whatever it's called) is actually somewhat challenging unlike the main campaign that literally plays itself, it still isn't more than maybe a one-hour venture. The bosses are just harder versions of ones that were already reused in the 5-hour campaign, and all four stages use the same backdrop. I haven't even been able to bring myself to complete it yet, not because of the challenge, but because it just didn't feel worthwhile to me. It's a shame, too, because I was so excited for a new mainline console Kirby game, being a big fan of the series. But honestly, it's probably the worst mainline Kirby game in my opinion, even with the DLC. @Not_Soos shoot. Thanks for the detailed response. That’s a bummer to hear! I hope I can at least find some nuggets of joy here and there! @neogyo I'm sure you'll find some of those, I can't deny that the whole game is pure eye candy. The level environments are really beautiful. And the final boss is something else, too! It was still incredibly dissatisfying on the whole for me, but there are definitely some redeeming qualities.